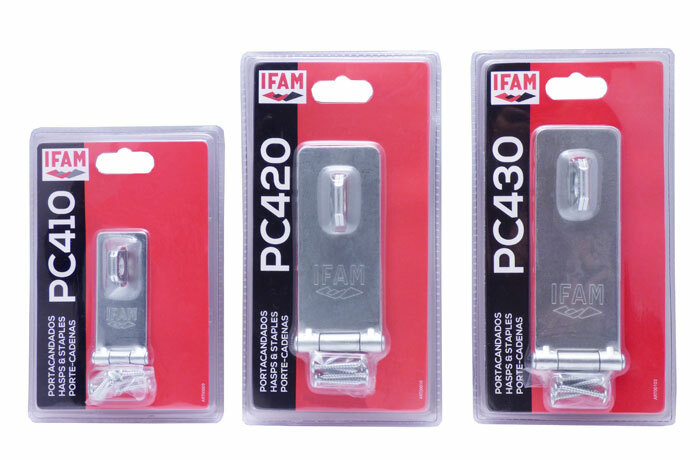 The PC Series hasps and staples from IFAM are available in three different sizes depending on your needs. 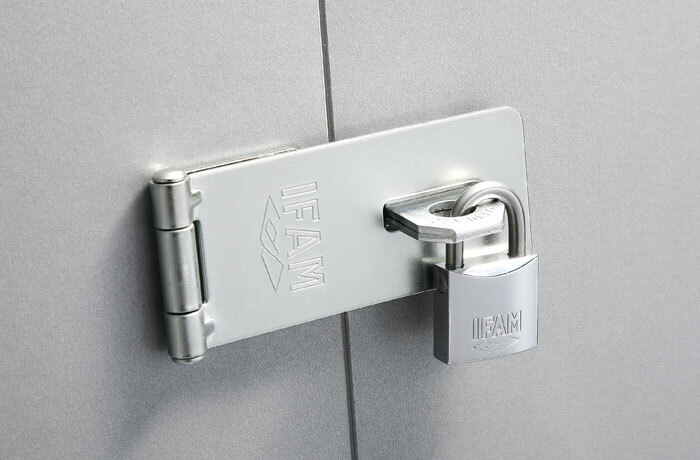 A good quality-price ratio, its easy assembling and versatility are the strong points of these hasps and staples, which allow attaching padlocks with shackles measuring between 11-12 millimetres in diameter; in other words, padlocks with a high level of security. 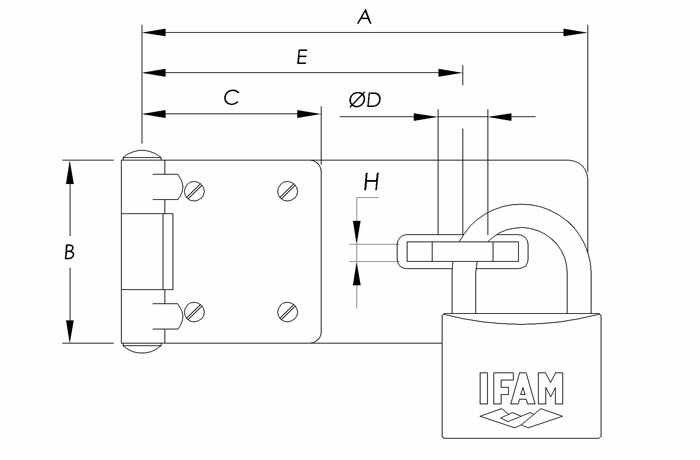 – Hardened steel fastening ring. – Three different body sizes. 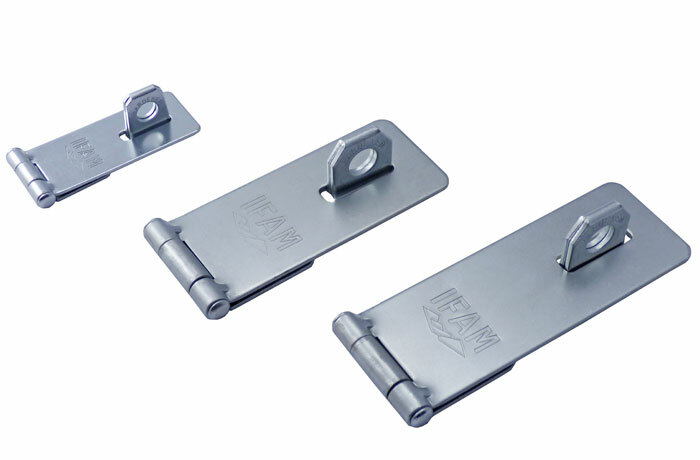 Other features: – Hidden fixing screws.